Dieticians eat delicious foods regularly that keep them full and healthy. 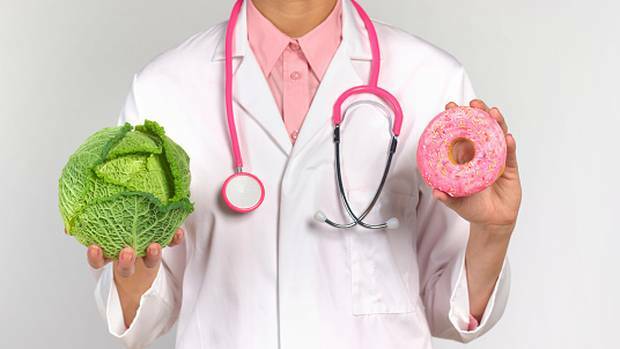 Here are the key foods that the majority of health professionals agree are indeed ‘super’ for their dense nutrient profiles, and foods we should all aim to eat a lot more of in our daily diets. While we hear much about the wonders of coconut oil, the truth is that when it comes to looking at the research that supports the health benefits of any particular oil, you cannot go past olive oil. With exceptionally high levels of powerful antioxidants that help to protect our cells from damage and as an addition to any meal to help boost fullness, olive oil has one of the highest proportions of mono-unsaturated fat and lowest proportion of saturated fat of all the cooking oils available. The group of vegetables from the brassica family which include broccoli, cauliflower, bok choy, cabbage, brussels sprouts and kale are often referred to as superfoods and for good reason. It is the glucosinolates found in cruciferous vegetables that appear to have powerful anti-cancer effects actively protecting the cells from damage, and even potentially acting as toxins to malignant cells. While research as to these benefits is still in early stages, these vegetables offer plenty of other benefits, including acting as natural anti-inflammatory, helping to eliminate toxins from cells and helping to regulate blood glucose levels which make them a daily must in every diet. One of the richest natural sources of long chain omega 3 fats, a single serve of fresh salmon each day will give you your entire daily recommended intake of these essential fats known to have multiple health benefits. Specifically it is the EPA and DHA fats found in salmon that have the profound effects on heart health, ranging from decreasing triglyceride levels — an independent risk factor for cardiovascular disease — to reducing the risk of sudden death from heart attacks by almost 50 per cent. For some time we have been aware the number of nutritional benefits of nuts, and despite their relatively high fat content research has shown that a single serve of nuts each day has no negative impact on weight long term. While almonds are often thought of as the healthiest nut of all, of all the varieties of nuts, walnuts contain some of the highest amounts of the long chain plant source of omega 3 fat. Just 10-15 each day will give you a great dose of essential fats and research suggests that a single serve of walnuts a day can significantly reduce blood cholesterol levels. It does not matter if your preference is blueberries, raspberries, strawberries or blackberries, all berries are exceptionally rich sources of antioxidants. Vitamin C and fibre and regular berry consumption is routinely linked to cell health and anti-ageing and the relatively low sugar and calorie content of berries means that you can literally eat as many as you like without fear of weight gain. The bright colour of sweet potato gives some indication of its rich nutrient profile. An exceptionally rich source of beta carotene, a natural antioxidant, known to protect the cells from damage as well as dietary fibre and B-group vitamins, sweet potato is one of the most nutrient-rich vegetables. A naturally rich source of low GI carbs, sweet potato is the perfect energy-rich food for any type of diet. Greek yoghurt not only contains much less sugar than the average serve of store-bought yoghurt, but it is much higher in protein which helps to keep your blood glucose levels regulated throughout the day. An added benefit will come if you choose a variety of Greek yoghurt which also contains probiotics, the live bacteria that will help to feed the good bacteria in the gut and is thought to have a powerful role in optimal immune function long term. When it comes to our health, we often hear about the many benefits of consuming nuts regularly, but seeds including chia, pumpkin, sunflower and sesame seeds have their own range of unique health benefits. Exceptionally rich in key micronutrients including zinc, magnesium and iron, and also one of the few types of foods that are also naturally high in the plant source of omega 3 fats, a serve of seeds each day is a must for anyone who is following a plant-based diet, and a nutrient-rich addition for all of us in general. While all shellfish is a good choice, nutritionally it is mussels and oysters that are specific nutrient powerhouses when it comes to our overall nutritional intake. Packed full of both iron and zinc, two nutrients that can be commonly lacking in modern diets, shellfish is also a rich source of iodine, another common nutrient deficiency. Even better, shellfish is also relatively low in calories and contrary to popular belief is not an issue when it comes to overall cholesterol consumption. So you are free to enjoy as much shellfish as you can afford. You will be hard-pressed to find a more nutritionally complete, useful food than the humble egg. Packed with protein, key nutrients including zinc as well as 20 other vitamins and minerals, eggs can easily be incorporated into any meal and prepared in minutes. And before you get too concerned about the cholesterol content of eggs, keep in mind that it is not cholesterol but saturated fat that increases blood cholesterol levels and one to two eggs each day will not have adverse effects on blood cholesterol when consumed as part of a nutritionally balanced diet. Legumes or beans have made somewhat of a comeback in recent years and all beans are extremely nutritious containing a mix of low glycaemic index carbohydrates, dietary fibre and protein; their relatively high protein content making them a popular meat substitute for vegetarians. The soluble fibre found in beans has been shown to help lower blood cholesterol levels and beans also contain high levels of B-group vitamins, iron, calcium, phosphorous, zinc and magnesium as well as folate. While legumes are often used as the base of meals for vegetarians, beans can also be used in range of meals including mince, soups and salads for extra bulk and an extra nutrition hit. And best of all, legumes are an extremely cheap source of protein. What food and drinks can help to prevent cramp on game day?